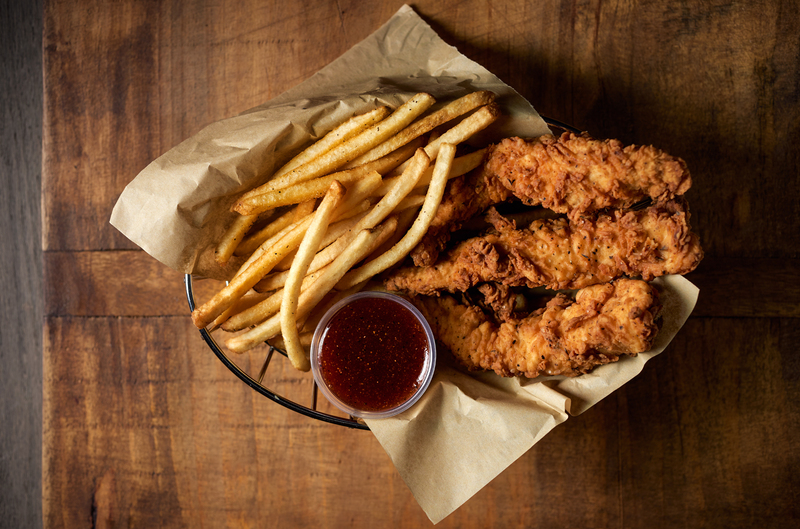 You might think it's just another Wednesday, but today is also National Chicken Tender Day (July 27). 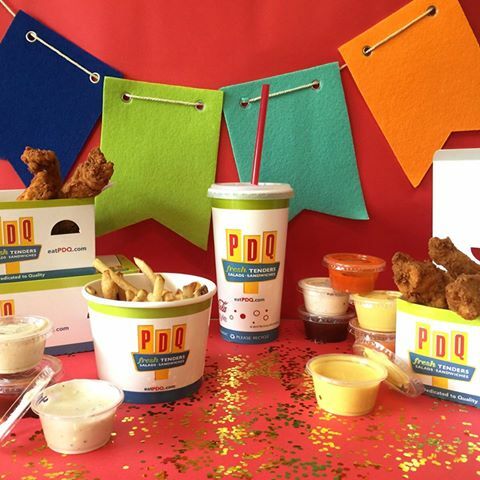 In honor of this very delicious day, PDQ, which stands for People Dedicated to Quality, is providing codes for FREE chicken tenders. Anyone who signs up now for the PDQ Fan Club at PDQ before Sunday, July 31 will receive a coupon for 3 Free Chicken Tenders and other offers. PDQ, which has 55 locations nationwide and counting, is a fast casual restaurant specializing in fresh hand-battered chicken tenders, made-to-order sandwiches, daily cut fries, hand-spun milkshakes and fresh salads made in store, everyday. The location by me at Gulf Coast Town Center in Ft. Myers is very kid-friendly and immaculate. Inside there are TVs playing sports programming and by the Coke machine there is a sink that is operated with your foot via a peddle, which kids can reach. Mine enjoyed washing their hands before eating for a change. Yay! 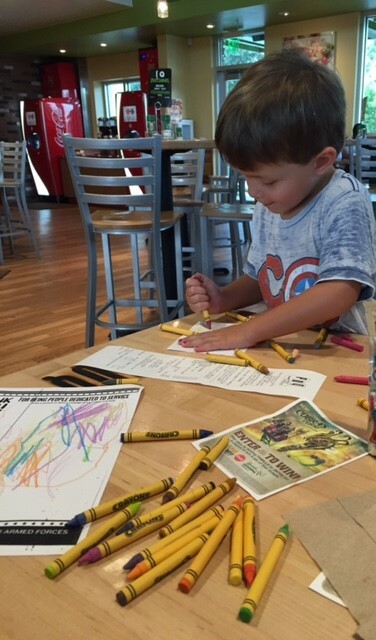 Also, by the cash register they have crayons and coloring paper available, which was a hit with my boys too. Outside meanwhile they have two corn hole bean bag toss boards set up, which they also played with before going inside to eat. Yes, I really love the salads at PDQ! Not yet, hubby and I are looking forward to trying PDQ very soon! Not yet, I'm looking forward to trying PDQ very soon. 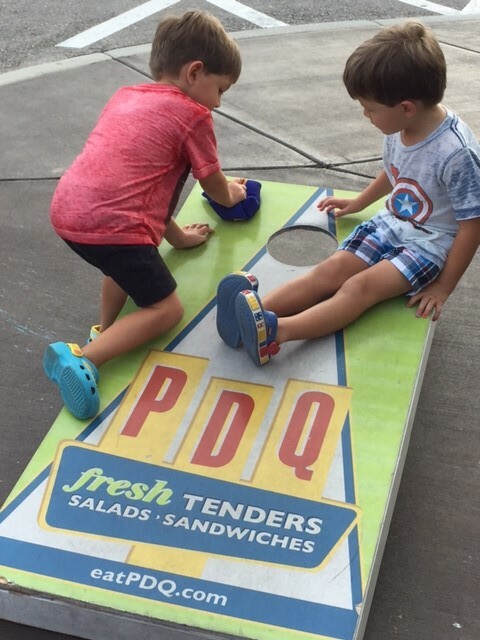 We have driven by PDQ, but we have not tried it yet. It looks and sounds great ! I have not but Id like to! No I have not, but would like to when visiting Florida this year. 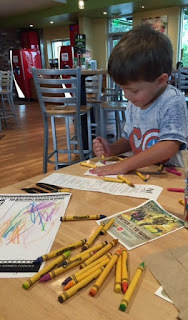 I have not been to PDQ, but I was recently on a local foodie blog and pdq received good reviews from that blogger. I haven't tried PDQ. I know we have one close to us though! Yes, there's one in my neighborhood and we love it!